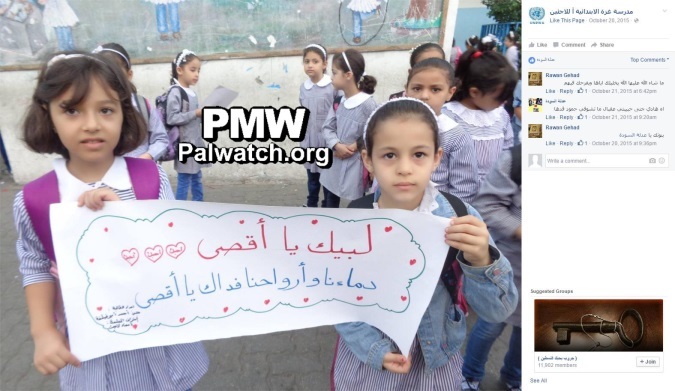 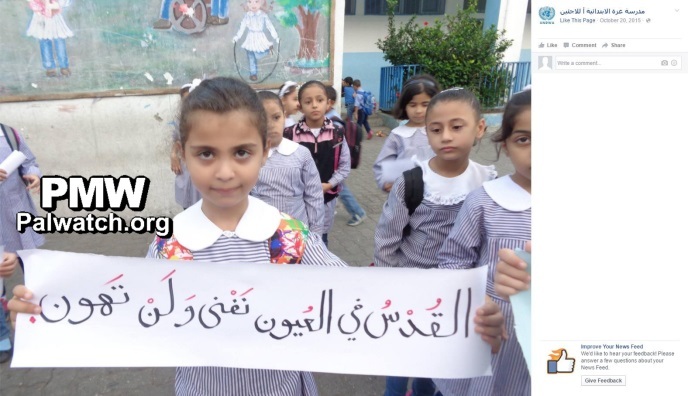 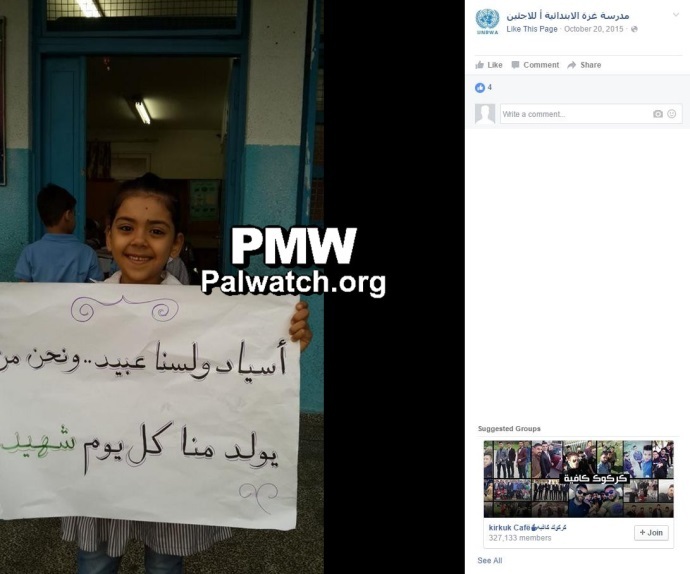 Text and images posted on "Elementary School A for Refugees – Gaza" Facebook page on Oct. 20, 2015, accessed March 7, 2016. 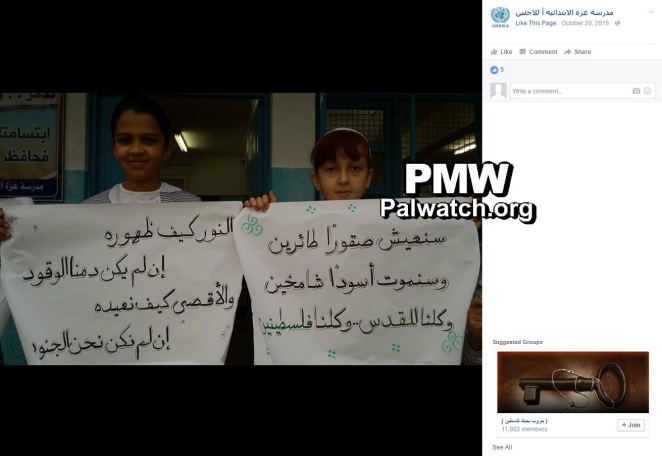 The first image shows that the UNRWA logo is the profile picture of the page (on March 7, 2016). 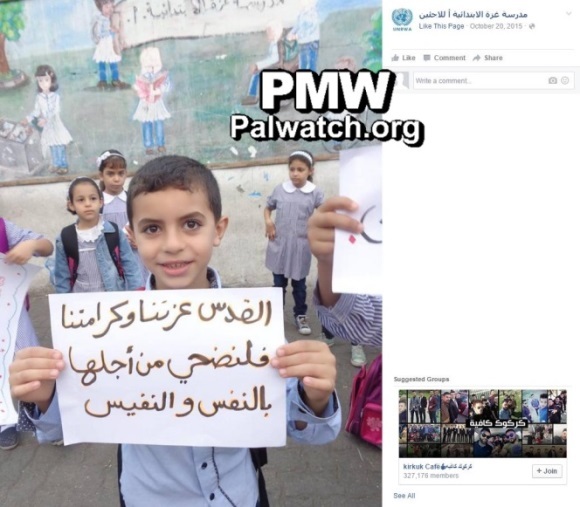 The page later removed the UNRWA logo and closed or blocked the page. 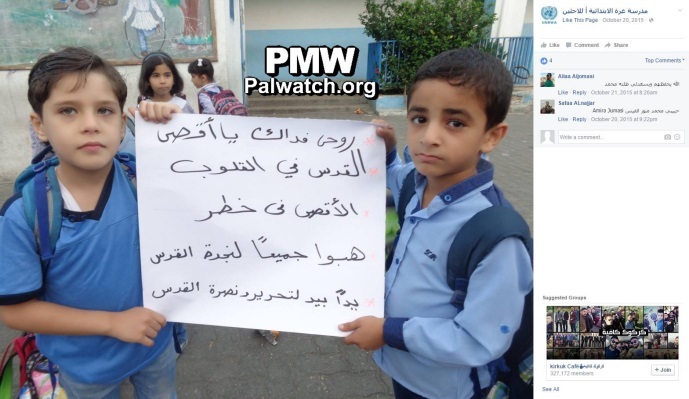 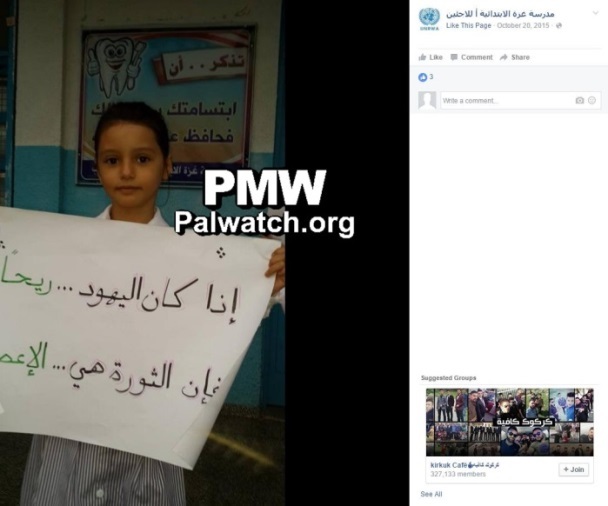 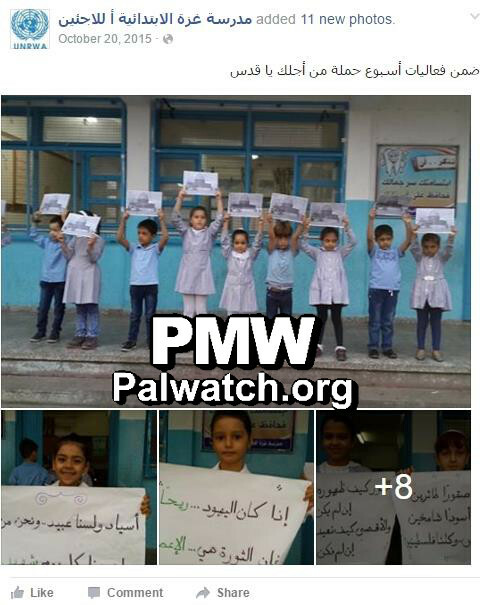 On Oct. 20, 2015 (a few weeks after the outbreak of the current wave of Palestinian terror attacks against Israelis that began on the Jewish New Year – Sept. 13, 2015 - with a stoning attack in which Israeli civilian Alexander Levlovich was killed), the UNRWA Elementary School A for Refugees posted pictures of an activity for Jerusalem that took place in the school: The pictures have since then been removed from Facebook.